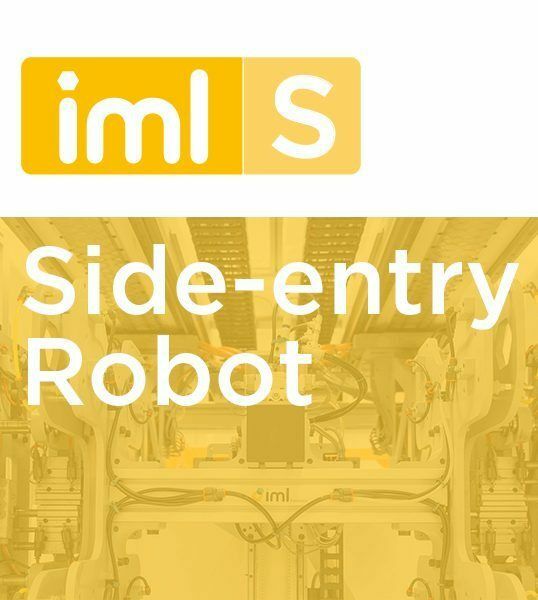 IML Solutions’ side-entry IML robot has been designed to provide versatility, reliability and robustness since its start-up. Should you have a project, consult with us. As specialists, we would be pleased to propose the solution that best helps you reach your goals. IML Solutions’ robots are design to respond to the most demanding situations. Your IML system always ready. 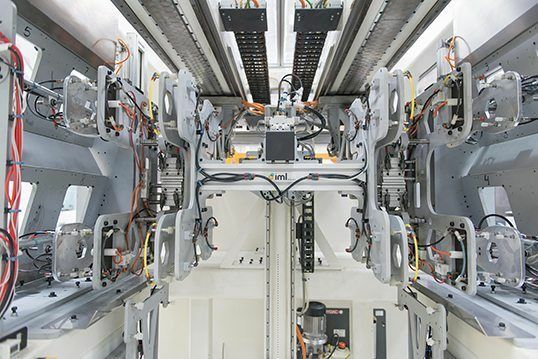 IML Solutions’ robots are manufactured using the best components in the market to ensure an optimal performance. It does not matter if your room is limited, the side entry robot can adapt to your needs. IML Solutions’ side-entry IML robot combines ultra fast cycles with reliability and minimum maintenance, a perfect fit for big volumes. With a fully custom-made design it ensures minimum intervention times, hence optimizing production. Set-up options: stack molds adaptable, high-speed electronic picking for stacking, multi-cavity: various labels and barrier system.